"What makes a city a great place to live -- your commute, property prices or good conversation? 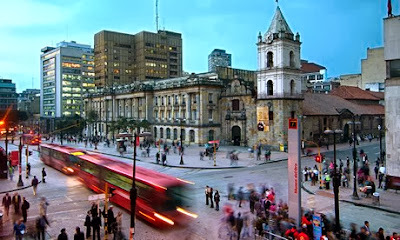 [...] Is urban design really powerful enough to make or break happiness? The question deserves consideration, because the happy city message is taking root around the world. "The most dynamic economies of the 20th century produced the most miserable cities of all [...] totally dominated by cars." [...] By spending resources and designing cities in a way that values everyone's experience, we can make cities that help us all get stronger, more resilient, more connected, more active and more free. We just have to decide who our cities are for. And we have to believe that they can change. " 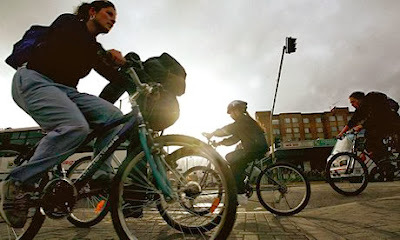 City of Bikes ~ Streetfilm Notes from Amsterdam! Somewhere in America ~ Covering Fashion! Ward's First Year ~ From Premie to 1yo Homeboy! In Practice, MD ~ "Routine" Medical Miracles! Strip the City ~ London Underbelly Revealed! Circuit Stickers ~ Peelable Sticky Chibitronics! Hand Tools ~ Family Tree of Enabling Tech! inFORM ~ Topomorphic Danceplay Media @ MIT! Wecyclers ~ Tech Awards 2013 Laureate! Executive Suite ~ Epic Film's Boardroom Finale!